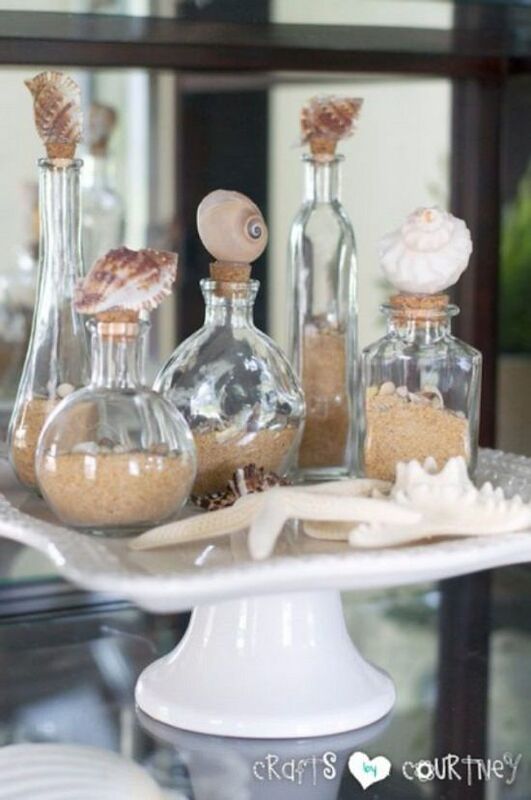 Give your home a beachy charm with these decorative and beautiful craft ideas with sea shells. These ideas are not only functional but easy too! Glue large seashells to the top of the cork, add mini shells and sand into a glass bottle and cap the cork to recreate this centerpiece craft idea with sea shells! Crafts By Courtney has the tutorial. Imitate this seashell candle holder by sticking different shapes and sizes of shells around the base of a glass candleholder. Find the steps in detail here. Add a piece of soft music to your home with this seashore windchime. Hang a series of seashells, buttons, and beads to a piece of driftwood by using a thread and lastly, hang the driftwood at a height with twine. Make use of your seashell collection by turning them into necessary hair accessories. Glue the shells at the ends of the hairpins with a strong glue. Drilling a hole into shells is a primary thing to do in many seashell DIYs. However, it might break the shells into pieces if not done correctly. Visit this site to learn how to drill a hole in the shells without breaking it. If you have a considerable collection of seashells, this project is probably one of the best ways to put them into use. 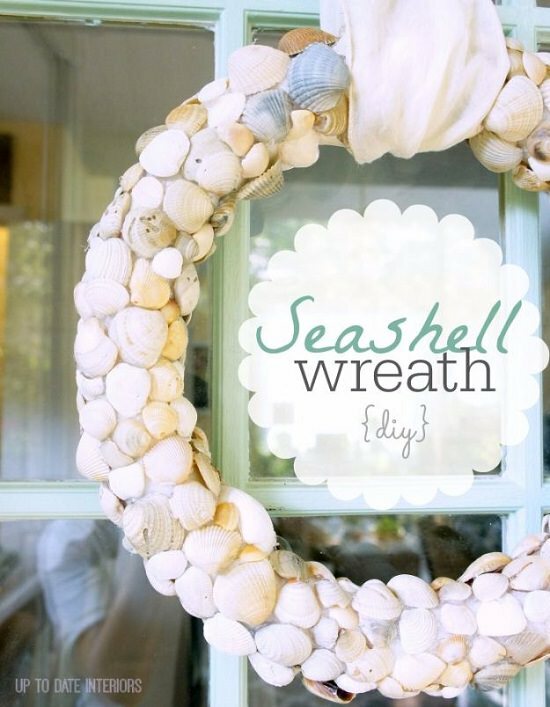 Recreate this shell wreath by gluing the shells on to a styrofoam wreath form. Frame a watercolor background in a wooden frame and stick a seashell in the middle using hot glue. The steps are available in detail at Atta Girl Says. Clean and coat a small seashell with any metallic spray paint and attach it to a necklace chain. The tutorial is available at Lovely Etc. Cover each bulb of a string light with two seashells and glue, that’s it. To add more drama, you can paint the shells. In a jar lid, add seashell chips and some large to small shells and pour resin mix into the lid. Have more details here. For this art, you’ll need lots of seashells, hot glue, and a CD. Look here to complete the project. Use hot glue to attach similar seashells around a terracotta pot to create a planter like in the image. Have a complete step-by-step guide here. Celebrate your beachy spirit with these gilded seashells, which you can create using the liquid gilding and gold leafing technique. Visit here. 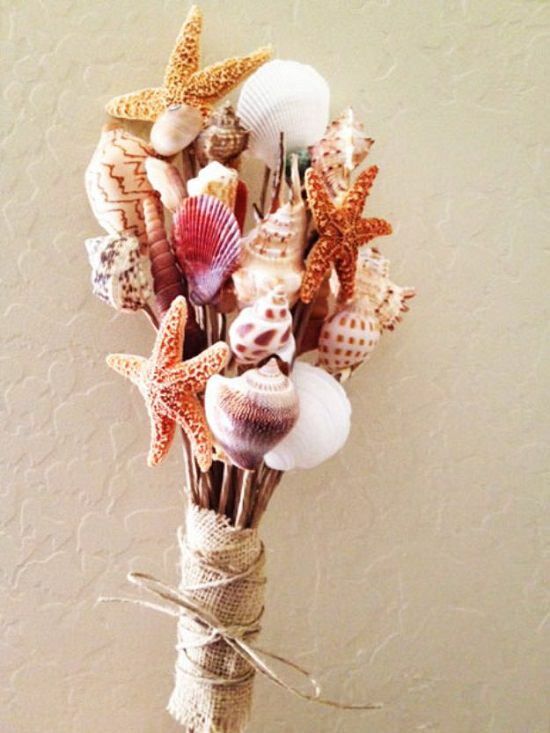 A seashell bouquet is perfect for giving to someone crazy over the beach season. Be it a wedding gift or Thanksgiving; this shell bouquet is an attractive option to offer as a present. Make holes in small shells and thread jump ring into it. Then, lock it to the chain and similarly add other shells to the chain. We found the idea here. Paint the inside of oyster shells using liquid gold leaf paint and allow it to dry. Once dry, add the salt and pepper to the oysters. Have a look at the DIY at Design Sponge. Spray paint some wooden candlesticks and attach a starfish and a scallop shell on the top using hot glue. Find the details here. 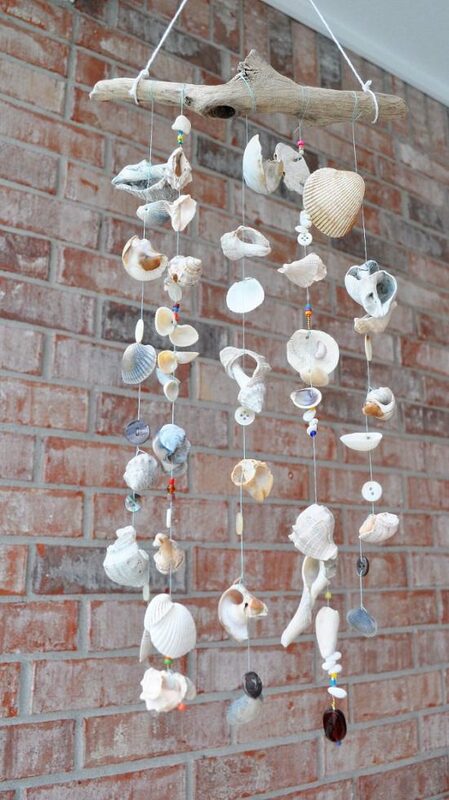 Create a similar garland using shells, twine, and rope to take your beachy decoration to a new level. Finding Home Farms has the directions to this garland. Have an excellent place to store your rings and other small accessories by way of DIYing this ring dish. Paint the shells into a fine coat of metallic paint and let it dry, that’s all! 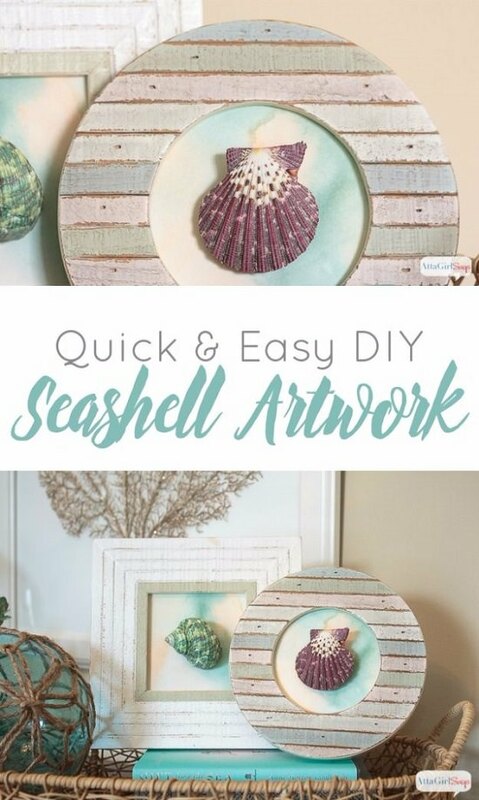 Liked these craft ideas with sea shells? Leave your comments below.